Tired of dreary old winter? Then its time to make your own spring bouquet! By combining simple embroidery stitches you can create recognizable shapes like flowers. 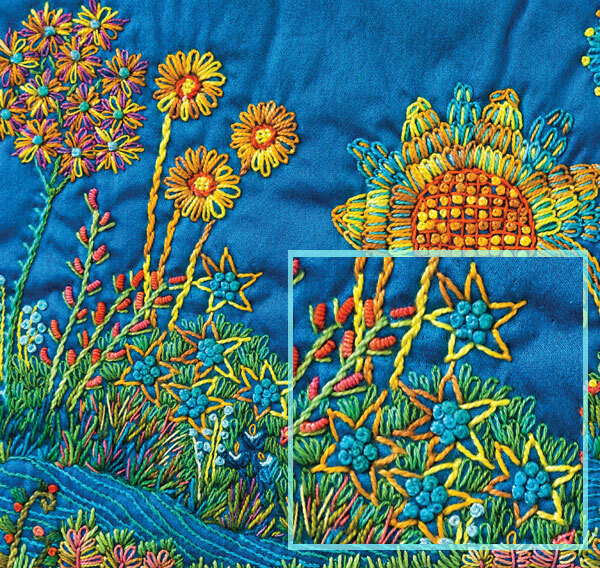 The spiky yellow blooms in Garden of Flowers are made with five Fly Stitches placed in a circle with the points facing out. 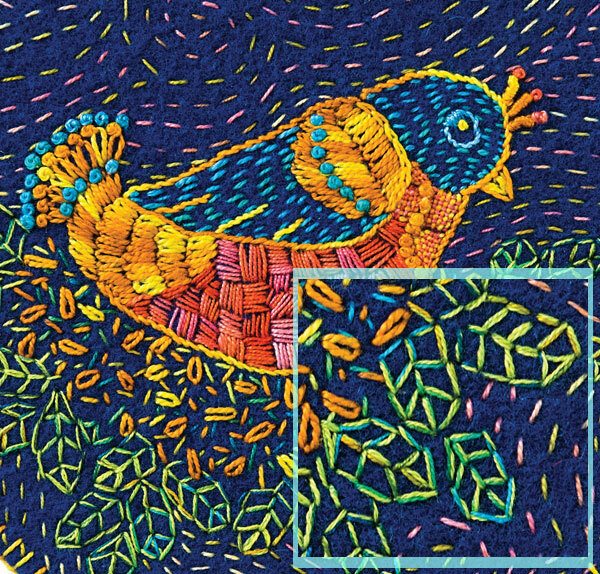 A mound of French Knots in turquoise thread fills in each center. Notice how the blue background fabric also plays a role in creating the shape of these sweet little flowers. Like sketching on fabric, combining a few stitches can also suggest a simple leaf shape. The leaves lining the Red Belly Bird’s nest are a combination of the Fern Stitch and Straight Stitches. Each branch of fern stitches is trimmed around the edge with straight stitches to make an enclosed leaf shape. 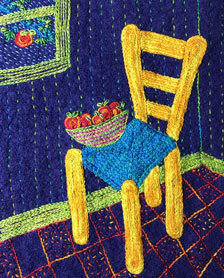 All it takes is the combination of a few simple embroidery stitches to make shapes on fabric. What’s your favorite combination to create shapes?